Venice Justice Committee: “Know Your Rights Workshop”, April 1, 2016 for homeless people – put on by activist Peggy Lee Kennedy, attorneys John Raphling and Lahaina Araneta. The Homeless Bill of Rights Coalition held a press conference, rally and day of action, education and mobilization to uplift true solutions to the City’s homelessness crisis, in Venice. They are demanding the end of criminalization of the homeless and highlighting the hundreds of vacant or underutilized public properties — like the Venice Westminster Senior Center — that could be used for housing and homeless services. For more info contact Eric Ares or Sean at (213) 228-0024 — http://www.cangress.org. A homeless activist was arrested Friday, March 13, 2015 during a Los Angeles city cleanup of the Venice boardwalk. David Busch, a member of the Venice Justice Action Committee, said the bimonthly cleanups were a pretext for driving homeless people out of the historic bohemian beach community. “They’re denying homeless people equal access to the beach,” said Busch, who was taken away in handcuffs after refusing to climb off the hood of a city sanitation truck. HATIN’ ON THE HOMELESS — AGAIN! I don’t know how many of you subscribe to Reta Moser’s “Venice Update” but last week she did a piece on the homeless staying at Lincoln and Washington and today was the follow-up with “comments” from the community. Every single one was “anonymous”, and most were vile. I sent Reta a response at retamoser@gmail.com as follows. I think some of you should send a response too if you have a minute. Thanks, and keep the good fight going! I have to say, I withheld from commenting after you devoted an entire update to the small pocket of homeless folks at Lincoln and Washington. As someone who works closely with homeless issues in the neighborhood and the City as a whole, I know that it is one of the most pressing issues of our time, and it doesn’t get nearly as much attention as it deserves, so I appreciate that you took the time to cover it. I cringed when I saw the comments section of the follow-up update, I know I should not be surprised, but the callous attitude of some of my fellow Venice neighbors never fails to astound me. Whoever you are Anon2, you make me sick. First of all, heroin addiction is a beast. Trying to get off of heroin is a medical problem. We are right now conducting a project at the Venice Family Clinic to attempt to intervene with local heroin addicts (many homeless) using medication assisted treatment and mental health treatment. It’s not an easy task for someone who has a stable home situation much less someone who is homeless. There are no detox beds available in the area. The closest is Redgate in Long Beach and they have a long waiting list. You think she “should be arrested?” Have you ever been arrested? I have spent many years working in the LA County Jail system and it is hell on earth. You think she should be forced to have her child placed? Do you have any experience with the foster care system in California? The group homes? Also hell on earth. Your judgment that she should buy condoms with the few dollars she collects as opposed to buying food? Makes me sick. You care more about her unborn child than you do for her? Makes me sick. Anon3: “assistance is needed from the federal govt, state gov, and private agencies…including more experienced mental health workers, counselors, drug experts and the medical profession. I completely agree with you and we are always advocating for more assistance. We need “housing first” facilities that can get people housed and then hooked up to services to deal with their addiction and mental health needs. Skid Row Housing Trust, PATH, and others have provided the model, we need to secure funding to turn currently foreclosed buildings into supportive housing buildings. If all of the developers who are raking in millions in Venice were forced to put money into a fund we could do it. I could not agree more. One of the unintended consequences of Teague trying to force the 1414 Main project onto our block was that it really drew the neighborhood together.. I had the opportunity to speak with over 100 of my neighbors on Horizon, Market, San Juan, Riviera and Cabrillo and ever since have found myself stopping and talking with them on a daily basis. I had lived here 18 years and only knew about 20 neighbors… when new folks move in and tear down those 1920’s craftman’s and build 3 story boxes complete with (illegal) ten foot fences we are losing a lot more than the character of the neighborhood. If people lock themselves behind these gates and have no stake in what is happening outside their barricade the problem will only get worse. Anon5: “I do feel unsafe sometimes walking though there. I know they are there because Walgreens throws a lot of food out and stuff out so they congregate. It is really hard because I feel compassion for the homeless but drugs near our homes make me very worried. Drugs in the neighborhood usually means increase in crime. I wish Walgreens would hire a security guard to man the area. I’m sorry you don’t feel safe walking in your own neighborhood. Just know that homeless folks are usually more afraid of you than you are of them. I agree substance use disorder is tough, and it can make addicts very unpredictable. I think it would be a good idea for Walgreens to hire a guard (I think they have one?) and when the brewery moves in I think they should also provide some security. I think it is a good idea to reach out to Pastor Weller, he is a good man and 4 square does a lot to support the homeless here in the neighborhood and around the City. My question for you is why do you email LAPD when you see a homeless person? You do know that it is perfectly legal to be homeless, legal to sleep on the public sidewalks overnight, and legal to store your possessions in public? Why would anyone call LAPD on a homeless person who is not actually committing a crime? In my opinion that makes you the bad guy, not the homeless person. I agree with you that the situation at 3rd and Rose is a problem. 100 times worse than the problem at Lincoln and Washington. If I were you I would advocate for a 24/7 bathroom and garbage cans to be placed there so people can have some dignity when they have to relieve themselves and would have somewhere to throw out their trash. I would also advocate for lifting the curfew on the boardwalk so that people could sleep in the park, the explosion of the encampment at 3rd and Rose is a direct result of the curfew IMO. I’m also sure that you know there is nothing illegal about homeless folks storing their belongings on the sidewalk. Perfectly legal.. The jerk that runs Gjelina has lied at every step of the way during his bid to turn 320 Sunset from a bakery into a bar, and pretty much every single person at the VNC meeting last week agreed that it should be denied. He didn’t even bother to show up or send a representative, if you think he will be your savior, take it from someone who lives around the corner from Gjelina, you do NOT want him as your neighbor. How much time have you spent really speaking with local homeless people? Have you personally offered them a job? I know that there are certainly a percentage of this population who are truly just addicts, mentally ill or criminals, but to say that there are none of them trying to help themselves get out of this situation is ignorant. Stop by Safe Place For Youth, or the Teen Project sometime, you will be surprised how many of our homeless neighbors are doing the best they can to survive and get themselves back on their feet. Speak to some outreach workers from PATH or Daniel’s Place about how hard it is to get these folks into the housing system. Go spend some time at the VA working with counselors at the Domiciliary and New Directions and find out what PTSD really does to a person. I’m sorry to go on so long Reta, and I do appreciate that you offer this forum, now that Bret has passed and Yo! sold off, this is one of the last forums we have in Venice, and I appreciate your hard work putting it together. I just wish we could have a bit more harmony as a community when dealing with this issue. Honestly it is much too large of an issue to be foisted on our small community, it should really be being handled better at a Federal, State, and County level. In the meantime we should all be thinking about small local solutions, opening an emergency shelter (or at least opening the Westwood Armory year-round), supporting the storage locker program, installing 24/7 bathrooms, and lifting the curfew at the beach would be my first suggestions while we work on obtaining properties for housing first supportive housing options. There’s a perpetual yuppie belief that society’s true failing isn’t the fact that half a million residents don’t have shelter, but that some do-gooders have the audacity to give homeless people food. The latest epicenter of this thinking is Los Angeles, where the City Council [led by Councilmembers Tom Labonge and Mitch O’Farrell] is considering a ban on feeding homeless people in public areas after complaints from nearby homeowners. As bad as Polinsky thinks he has it, it’s safe to assume that any one of the 100 homeless people lined up for a meal would, given the chance, switch spots with him without hesitation. The proposal will need to pick up more support among the 15-member Council in order to become law. If passed, though, Los Angeles would join a growing number of other cities that have banned or passed significant restrictions on charities attempting to feed the homeless, including Raleigh and Orlando. Singer-songwriter Harriet Kilgore has endured homelessness, drug addiction and this harrowing assault. Through it all, she’s blossomed into a talented musician. You can help right now by faxing letters and making calls to the property management company which is located out of state. Also calling Jim Adelstein, VP, who is located in Los Angeles would also be helpful. Adelstein’s father, Stanford Adelstein is also a republican state representative (in South Dakota) http://legis.state.sd.us/sessions/2012/MemberDetail.aspx?Member=113. Jim Adelstein has stated in deposition that Henry’s Market would be paying market rent, but he doesn’t like the clientele that we cater, namely the elderly, homeless, and economically disadvantaged using EBT. Jim Adelstein has a history of creating a hostile environment with tenants. It is the perception of many that Jim Adelstein doesn’t care about Venice history or community service. Please let us know via email what action you’ve taken so we have a sense of what’s occuring. Thank you. Henrys Market at 9 Dudley Ave Venice, CA 90291 provides a much needed public service of accepting EBTs and Food Stamps –and thereby serving especially the poor and lower middle-class, and not just the wealthy and priviliged. Given that the proprietors Shyla and Rene have agreed to market rent, why does Northwestern Engineering want Henry’s Market to leave their location? I oppose all efforts of landlords to violate their leases or target their tenants or customers for harrassment in order to remove low-cost public amenties from Venice Beach. Venice has been a unique yet community focused location where the poor and wealthy co-exist. I am also contacting City of Los Angeles District 11 Councilperson, The California Coastal Commission, The Mayor of Los Angeles, the County Board of Supervisors, and others to inform them of this situation. As well we are creating a petition this week, and want people to attend the hearing in April. Much to do. My original letter is below for more background. An LAPD Officer recently informed the owner of Henry’s Market, Shlya, that some neighbors nearby are calling in complaints about the people outside her store. Those people are often homeless, by our cultures definition, and many have lived here in Venice for years. Also, Shyla, who’s father opened the store many years ago, is in a legal squabble with the landlord. Shyla says she’s being pressured by the landlord to move out. Shyla and her partner Rene are not giving up without a battle. I want to assist them will you join me? Henry’s isn’t only a small business struggling to stay afloat with “big corporate” CVS a couple of blocks away but now is having to address complaints about accepting E.B.T . For those of you that do not know EBT is sorta like the “debit card of the poor”. I an E.B.T card myself. Yeah, I receive public assistance to feed myself. I am not alone (check here for stats http://www.dss.cahwnet.gov/foodstamps/PG844.htm. The program is called Calfresh. The DPSS website states that the CalFresh Program helps to improve the health and well-being of qualified households and individuals by providing them a means to meet their nutritional needs. CalFresh benefits can be used to purchase foods for human consumption, and seeds and plants to grow food for household use. Rene has told me more than once that these days the majority of the business comes from those that use E.B.T. That includes housed and non housed E.B.T. recipients. What makes Henry’s Market an even more important part of my existence is that Shyla added a kitchen some time ago to adapt to the times. I, along with others that meet the qualifications of restaurant meals program, can purchase hot meals, cooked to order, and salads including vegan and vegetarian options. Who’s qualified you ask? Those defined as homeless, the elderly, and the disabled. I usually go for the oatmeal with honey & fruit for breakfast, and the black bean burger and fries for lunch. I buy a coffee or tea everyday too. Using my E.B.T. card at Henry’s Market is my way to support a local Venice business, and to utilize the public assistance that is a life line to many of us. Also, I like Shyla and Rene. They’re good people. I encourage others to share their story. Let’s get them some media coverage, or call them at the number above to inquire about how to assist them. I work everday doing what I love, being an artist in Venice. I’m not going anywhere and I hope Henry’s Market isn’t here. Spread the word!!! What makes Henry’s Market an even more important part of my existence is that Shyla added a kitchen some time ago to adapt to the times. I, along with others that meet the qualifications of restaurant meals program, can purchase hot meals, cooked to order, and salads including vegan and vegetarian options. Who’s qualified you ask? Those defined as homeless, the elderly, and the disabled. I usually go for the oatmeal with honey & fruit for breakfast, and the black bean burger and fries for lunch. I buy a coffee or tea everyday too. Using my E.B.T. card at Henry’s Market is my way to support a local Venice business, and to utilize the public assistance that is a life line to many of us. Also, I like Shyla and Rene. They’re good people. I encourage others to share their story. Let’s get them some media coverage, or call them at the number above to inquire about how to assist them. I work everyday doing what I love, being an artist in Venice. I’m not going anywhere and I hope Henry’s Market isn’t here. Spread the word!!! A nonprofit group in Venice sent Los Angeles Mayor Antonio Villaraigosa a letter this week demanding that city leaders remove encampments along the Venice Boardwalk, saying the city is treating different parts of the city differently when it comes to illegal camping. In a letter that also went to Councilman Bill Rosendahl, the Venice Stakeholders Assn. said “Skid Row”-type conditions had developed along the boardwalk, with tents, sleeping bags, bedrolls and other personal possessions lining the walkway. That situation, the group says, is a far cry from the “pristine” conditions on the City Hall south lawn, which received new landscaping and anti-camping signs in the wake of the Occupy L.A. encampment. Ryavec said his group has retained an attorney and will sue if the city fails to act. The City Hall park reopened last month, but only after the council added new provisions to its ban on camping in city parks. heard bout this about town…. City Attorney, Los Angeles, California, for the defendantappellant. 2. Absent an immediate threat to public health or safety, destruction of said seized property without maintaining it in a secure location for a period of less than 90 days. This is a 32 pg document. Dissent included. See link below. If you are alive, never mind 2 legs, 4 legs 6 or 8 you must off load waste. This bodily function is universal. It does not keep business hrs! Whether you purchase or not every body must relieve themselves! Sometimes the beach bathrooms have overwhelming lines. There is also worldwide recognition of proper sanitation for public and personal health matters not to mention dignity. 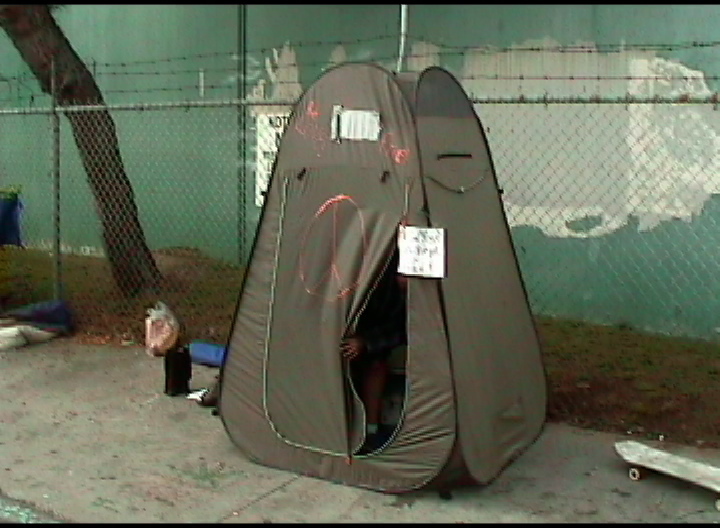 We, the activists of Venice Beach, implore provision of 24hr toilet access for any and all – as is our right as humans! We the wealthiest nation, self appointed world authority on human rights could avoid hypocrisy, as well as encourage gainful employment to the homeless by respecting and accommodating this common sense need – shared by living beings the world over. (b) providing additional portable public restrooms with 24 hour daily access at Venice Beach and other areas of Venice, particularly where homeless people congregate. TRASH CANS ON 3RD AVENUE HAVE DISAPPEARED! I’ve tried calling Dept. of Sanitation and don’t get far, especially when they’re the ones who come through and scoop people’s possessions up and take them to the dump, and intentionally stop and do their thing as close as they can to vehicle dwellers in the morning just to wake them and remind them they are not welcome. I’m glad you noticed the lack of trash cans, it’s been made clear to those on Rose that it’s intentional and all a part of the assault on people sleeping there. They’re mostly there together to have some semblence of safety, you’ll notice a few girls who sleep there, one just 20yrs-old w/her boyfriend, because they can be protected and cry out for help where people will hear them. Many shelters require proof of being homeless for 5yrs before they might let you sleep in a bed, in dubious peace and safety. I know too many who’ve been molested or out-right attacked in shelters, heads slammed against walls etc.. This relative safety goes out the window when drunken police cadets and their prostitute girlfriend’s go down there drunk to harass a couple, then drum up all kinds of press about how they were just a nice young couple trying to walk to their car, attacked un-provoked by street scum. This very same police cadet backed into my truck in the middle of the afternoon, hitting it and jarring me inside just to give me a scare/warning when I was simply coming back from being on the computers at the library, and was changing for a job interview. This goes much deeper than garbage, but if you could get cans back on 3rd that would be amazing, a small thing but a huge help to the people who genuinely do not want to sleep in garbage, though they may have to dream at night on the sidewalk. I’m happy to help with any efforts to get those trash cans back and to protect the right of all residents of Venice to live a safe, clean, wholesome, and harassment free existence. America – world leader – in homeless abuse? According to Amnesty International (AI) and the U.N. General Assembly access to toilets is a human right, as they are “essential to human well-being”. Similarly, according to AI: “Housing is a basic human need and fundamental human right”. OK, tell that to the thousands of homeless people living on the streets of Los Angeles today! Then, take a trip to Venice Beach, Los Angeles, and ask the homeless people sleeping on the street what these “rights” mean to them. They will likely laugh in your face and tell you there is no housing for them in Venice; and the only available public toilets, located at the beach, are locked from sunset to sunrise. So where do they ‘go’ when they need to use the toilet after sunset and before 5:00 am (the beach is now under curfew from midnight to 5:00 am nightly)? Good question! This is a health time-bomb waiting to explode and it doesn’t just apply to Los Angeles but to every city where homeless people are forced to live on the streets without adequate sanitation. How is it possible that a country as advanced as America can turn a blind eye to this most fundamental human need? Make your voice heard – tell the Mayor of Los Angeles and other city, county, state and federal officials that it’s time to make access to public toilets a human right in America. Until very recently there was nowhere for Venice Beach homeless people to ‘go’ at night, and residents often complained their backyards were being used as toilets. Now, thanks to a bold move by local activists, homeless people, sleeping on 3rd Avenue in Venice, have their own makeshift “porta-potty” which is emptied and sanitized on a daily basis. What a great idea! A Santa Monica attorney has filed a legal claim against the city of Los Angeles on behalf of homeless individuals who lost personal belongings in the cleaning of a Venice street last month where dozens of homeless have been sleeping. The claim for damages filed by attorney Carol Sobel seeks a minimum of $4,000 for each person whose property was seized in a cleanup by the city Bureau of Sanitation March 7 along Third Avenue in Venice. The legal claim is a prerequisite to the filing of a lawsuit against the city over the incident, according to Sobel’s office. Another street sweep of the area was conducted March 29, when the city announced that personal belongings would be taken unless the owner were present, but while trash and other items were cleared, no property was seized. The actions have come after more homeless people have been seen on area streets following the enforcement of an overnight curfew on the Venice Boardwalk and the closure of the Westside winter shelter program. One activist said up to 50 people have been sleeping near Third Avenue on some nights. Sobel did not return phone calls for comment on the claim for damages. A spokesman for the city attorney’s office said the office has not been served with a copy of the claim. City officials have argued that street cleanups are periodically conducted to help keep sidewalks cleared for safety issues. Linda Lucks, president of the Venice Neighborhood Council, said she was concerned that no advanced notice was given to the homeless prior to the street action March 7. “There’s no excuse not to give a warning,” she said. Homeless activist David Busch sees the incidents in which the personal items of those living on the street are taken as an attack on people who are part of the culture of Venice. Following the March 7 street cleanup, only a handful of the people were able to retrieve their belongings, Busch noted. The items included blankets, sleeping bags, art supplies, medication, basic living needs and identification documents, he said. Busch said that activists have been reaching out to the city for weeks seeking more cooperation in addressing the homeless issues, and he believes that it should not have led to a damages claim being filed. It should never have come to this. The community of Venice is bigger than this and we need to prove that we can solve these problems cooperatively,” he said. Lucks said the actions to clear the sidewalks of homeless items are not solution-based and officials need to find real solutions to improve the local homelessness problem. City Councilman Bill Rosendahl said he could not comment on the specific incident targeted in the legal claim, but when he was made aware of the March 29 action, he “did everything I could conceivably do” to ensure the homeless’ property was not seized as part of the cleanup. Noting that sidewalk clearings are performed to address health and safety issues, Rosendahl encouraged people to keep watch over their belongings that could be considered abandoned property if they’re not around. The city is planning to do similar sweeps once a month in Venice areas where sidewalks are blocked but Rosendahl stressed that proper notice will be given ahead of time so people can keep track of their possessions. “We will give them plenty of notice to get in compliance with the fact that we’re going to clean the street,” he said. Rosendahl pointed out that the larger issue is how to connect the homeless to more services including permanent supportive housing, and the city needs to receive more resources from the federal government to better handle a problem that is not isolated to Venice. Reading the Triangle today and reading the comments below , one might feel discouraged by the tone of the article and the tone of the comments from those with differing perceptions. When the Los Angeles Charter was passed, Local Community Governance came into play with the establishment of Grassroots Venice and now VNC. Two diverse sides established themselves based on perception of “quality of life” issues, which now includes the gentrification in the Oakwood Community. These two diverse sides demonstrate anger at each other and sometimes anger among themselves. Egos , Power, and Greed are not a solution to overcome differences. As issues become more intense in Venice, those in control appear to enjoy watching the two diverse groups battle against each other so those in Power can remain in Power; at times CD11 creates the problems to take the focus off themselves. Why does it appear CD 11 flips-flops to pit both sides against each other rather than create social change to benefit all? Think back two years ago when CD11 brought in PATH (People Assisting the Homeless) providing them a nice contract to get the homeless off the streets. “move the homeless out of their cars or street” into adequate housing ? Why is CD11, our elected council office, doing little to create the needed changes and reopen the Homeless Issue rather than just applaud PATH ? Was PATH on Rose Ave. on Sunday assisting these individuals without homes to establish residency ? Where are our tax dollars going? First and foremost reread article (reprinted without pictures at end of comments). Article is a news article, not an editorial. It is reporting news. Update is not defending article, but explaining it here. Article did not condemn Steve Clare. 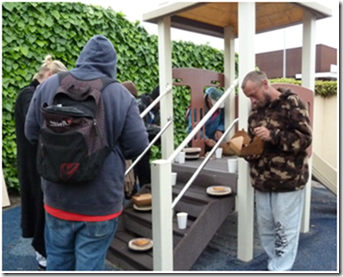 People on 7th Street did not want the breakfast on their street so Steve Clare of Venice Community Housing offered his facility across the street from Whole Foods on Rose for the feeding. Article did not say “institutions” on and around Rose enable homeless. But, speaking of the institutions, ask the question: Do they not attract the homeless? Just a question. One-half mile of Rose Ave from Lincoln to Main St. has from five to seven motorhomes parked almost continuously. Tributary streets also house motor homes. Rose is the home to the Family Clinic, the Venice Community Housing Corporation, the infamous 3rd Street homeless encampment. Just off Rose is the Venice Skills Center and St. Joseph’s Center. And now the Sunday Breakfast. Residents are calling this the last straw. Note: Linda responded by Blackberry three times. Each note had something to say. So all are printed here. Kudos to Steve Clare, founder of Venice Community Housing Corporation, for the foresight (before complaints) to advise Whole Foods that feeding people on Sunday morning on 7th St. would not be a good idea. Thanks to Kelly Layne and WF management for heeding the advice and trying to do the right thing. WF donates food consistently to many of our most popular local school events, VNC meetings, Chamber of Commerce, Art Walk, and Venice Arts to name but a few recipients of their generosity of giving back to our community. Why is it not OK to also give food to homeless people? 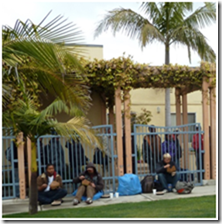 There are many ways we as citizens try to solve social problems: many people donate to VCHC (www.vchcorp.org) to buy more buildings as they own and operate 197 units, including a 32-bed transitional living center for women and children. Many of us donate clothing to the St Joseph center thrift Shop on Lincoln and support SJC efforts to get folks off the streets into housing with vouchers. Many support adult education at the Venice Skills Center because education gets people jobs and thousands of us attend the Venice Art Walk (Venice Family Clinic) and Venice Garden Tour (www.venicegardentour.org) benefiting the Neighborhood Youth Association, to support needy kids and families.. Is moving people out of poverty a bad thing? Is enabling meals here and there a bad thing? Some in our community feel it is a moral or religious choice. Let’s put things in perspective, tone down the rhetoric, and do something constructive. I have friends who wash homeless people’s feet at Easter and give big money to charities, but freak out at seeing an RV. There are other responses that are helpful and not inflammatory. Who was hurt today? Who was helped by this article? Are you part of the solution or just banging the drum for pushing people to our neighbors in Playa del Rey, Del Rey, Mar Vista and. Westchester with no sense or responsibility and long as you can’t see the poverty? Think about it friends, on a rainy Sunday when we are dry and warm and too many are not. Actually, Steve sensed the problem and convinced Kelly to move the location well before any neighbors knew. I saw to that. Kelly thought it would be fine. NOT! Love to give you tours. I am just frustrated that no good deed goes unpunished and I would love to see you offering how people can help move people into housing! Not just down the road- especially vets and families- my passion. Steve Clare really stepped up to the plate at the last minute to divert a problem. Whole Foods dived into to help move the food away from residents as a favor. Steve had nothing to do with WF management decision to feed people but tried to help. Otherwise, neighbors would have been upset. He deserves thanks and publicity so that people can donate to buy and build more units to provide permanent homes. He should not be criticized for seeing a pr debacle and helping neighbors and Whole Foods. Last straw? Feeding people? I don’t know why WF decided to do this. I should give you a tour of the facilities you sited as “enabling.” They are the only ones actually finding homes for people, job training and education and yes, providing food for hungry people–50,000 homeless in LA. If WF’s is going to continue this then they should allow the homeless to eat and hang out in their dining area in front of the store as long as they want…..not in the neighbor’s on 7th Ave’s front yards! And let them stroll through the store enjoying the free tasting and the wine bar. I printed it out and will give it to Dave who is the manager of the store for his info. I know he is interested in the feedback. Your story raises some questions for me. What is the menu for brunch? brunches? If that is the case, then what is the problem for the 7th street people? the prepared foods section of the store. I don’t blame the management. street it is more convenient for VCHC but a pain to the neighborhood. You may have a point, but I think it’s fair to ask, if you feel this is not helping the homeless, what you and others upset at the situation are doing to help the homeless? You argue that those who try are just “enabling” instead of helping. You say, “People trained to care for those with substance abuse know that there comes a time when people have to get tough and say: No, no more. Get help. Get well,” but then you seem upset about the presence of the Venice Family Clinic, VCHC, St. Joseph’s Center, and even the Venice Skills Center, all of which presumably have a lot more expertise than you or I in dealing with homelessness. Have you sat down with them and asked what is really needed or discussed how you could help? These local philanthropic institutions pre-date many of the residents now complaining about them, so it’s an open question as to who should be considered whose “last straw.” Instead of heading down that dead end road, let’s find ways we can mutually solve community problems. I’m proud of Whole Foods and VCHC for doing what they could. Steve Clare tells me you can attest to the fact that the 180 or so people who came for breakfast, including a pregnant woman and a number of elderly, were well mannered, appreciative and friendly, that no drugs or alcohol were present, and that they cleaned up after themselves. Homeless people and volunteers got to know each other. Isn’t that the kind of conduct we should be encouraging? The people serving food certainly felt that way. Clare says they’re also working on bringing services to the event, and given its success, he’s confident they will respond. You cite Santa Monica’s decision to stop feeding the homeless, but Santa Monica has taken strides to house them, unlike our own city. Los Angeles has a very different reputation. In 2009, we were won the title, “Meanest City in America,” from the National Coalition for the Homeless.” We have done so little to house the homeless that the City was forced into settling the case, Jones v. City of Los Angeles, by agreeing to allow the homeless to sleep on sidewalks throughout the city until the City delivered 1,250 additional units of permanent supportive housing in the downtown area. Why? Because a federal court ruled that the City’s habitual jailing of homeless people for sleeping in public constituted cruel and unusual punishment, given they had no alternative. Five years after the suit was settled, the housing has still not been delivered, and the City, Instead of letting the homeless sleep where they have the legal right, has taken to pretending the settlement’s terms apply only downtown. We have a situation where the homeless are actually abiding by the law and the City is deliberately lawbreaking. So everyone has a bone to pick. But we’d do a lot better if we put pressure on the City and especially the County, which controls mental health funding, to provide supportive housing for the more than 50,000 homeless in LA County. Fifty thousand – our share of which is about a thousand – down from 2,500 in 1987, according to the LA Times. City and County both get federal funding for this purpose. And according to those who know the numbers, getting the homeless into housing with supportive services saves the taxpayers money. Could there ever be a better time to buy up housing for the homeless? Right now the real estate market is depressed, and interest rates are near historic lows. Foreclosed and vacant housing is everywhere. The federal Neighborhood Stabilization Program allows local jurisdictions to acquire foreclosed multifamily housing for low income, and has a set-aside for housing the homeless. We can also help by supporting Home for Good, an initiative of United Way Los Angeles and the Los Angeles Chamber of Commerce dedicated to ending chronic and veteran homelessness by 2016.http://www.unitedwayla.org/home-for-good/. Or by supporting some of the organizations you mentioned. Better to light a single candle, as the saying goes, than to curse the darkness. There is a fine line between feeding the poor and enabling them to remain so. America’s multiple ongoing entitlement programs unfortunately do too much to promote the mindset that someone else is supposed to take care of me. When that comes home to roost in your own neighborhood, reality sets in. And it is not a pretty reality. Without working to transform people from the inside out, “programs” do very little, regardless of their motives. That said, there is something very Christ-like in feeding the poor. But it’s also vital to note that Jesus never left it at just that. leave the facilities – and this is the problem. nothing to help anyone out of their addictions and mental problems. transients and confound the recent commercial development. 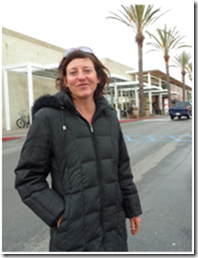 Kelly Layne marketing supervisor of Whole Foods at Rose and Lincoln was approached by an anonymous donor. Donor wanted to provide a free breakfast for homeless in area for a Sunday, once a month. It turned into every Sunday as long as possible. People were standing in line at 8:30 am. Serving was to be from 8 to 10 am. One couple in line asked if this was the place for section 8 housing. Steve Clare was later asked if he had housing for two people and he said he had no singles; there were 200 waiting, he said. Man was given a card with a phone number for information. Rose area residents are up in arms about this latest edition to the “Homeless of Rose.” They feel it is yet another invitation for the homeless. Residents further feel that while well meaning people try to help, they further enable people with substance abuse problems. People trained to care for those with substance abuse know that there comes a time when people have to get tough and say: No, no more. Get help. Get well. One-half mile of Rose Ave from Lincoln to Main St. has from five to seven motor h omes parked almost continuously. Tributary streets also house motor homes. Rose is the home to the Family Clinic, the Venice Community Housing Corporation, the infamous 3rd Street homeless encampment. Just off Rose is the Venice Skills Center and St. Joseph’s Center. And now the Sunday Brunch. Residents are calling this the last straw. One-half mile of Rose Ave from Lincoln to Main St. has from five to seven motor homes parked almost continuously. Tributary streets also house motor homes. Rose is the home to the Family Clinic, the Venice Community Housing Corporation, the infamous 3rd Street [Avenue] homeless encampment. Just off Rose is the Venice Skills Center and St. Joseph’s Center. And now the Sunday Brunch. Residents are calling this the last straw. I just got a call from attorney Ed Frey who passed on the bad news. About an hour after assembling, the jury returned a guilty verdict on all four counts–making Gary Johnson liable for 4 years in jail for the “crime” of four times sleeping on a bench next to a small sign reading “Sleep is Not a Crime”. The judge also insisted Frey remain in court rather than leaving him free to talk with jurors to explore the reasons for their verdict, which is customary and perhaps a matter of right. He also reportedly banned Frey from talking with jurors later. Judge Gallagher slated the sentencing hearing for 8:30 AM, Thursday March 29th in Dept. 2. Sentinel reporter Jessica Pasco may be writing a story on it later, Frey noted, since she was there. Frey noted Gallagher banned raising the necessity defense in terms of one person defending others, as some saw Gary’s political protest. 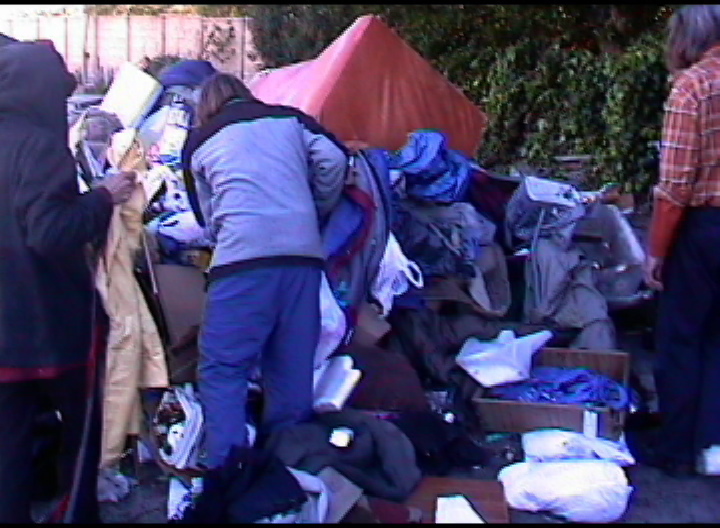 A handful of homeless people rummaged through heaps of garbage Thursday [March 8, 2012] in search of their belongings hauled off the day before in Venice by city trash collectors. The trash haul Wednesday [March 7, 2012] on 3rd Avenue between Rose and Sunset avenues was done by the Los Angeles City Bureau of Sanitation, which is part of the Department of Public Works, with the involvement of the Los Angeles Police Department, said Richard Lee, a spokesman for the Bureau of Sanitation. Los Angeles City Councilman Bill Rosendahl said the sanitation cleanup occurred following “many, many complaints” from a broad cross-section of local people about public urination, defecation, blocked sideways and trash in the street. Rosendahl said that he heard afterward that many homeless had their personal belongings collected and he arranged for two of the garbage trucks to be transferred to a Bureau of Sanitation yard in the 3300 block of Thatcher Avenue. The homeless searched Thursday for their belongings and Rosendahl said they also were invited back Friday from 10 a.m. to noon to reclaim their property. Rosendahl also said that he would make it a policy going forward to give the homeless a courtesy notice before cleanups. Today, hundreds of volunteers work one-on-one with children whose homelessness prevents them from getting the academic stability and help they desperately need. 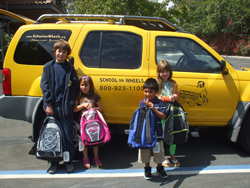 The heart of the School on Wheels’ programs is the volunteer tutors who come from all backgrounds and professions, with a shared goal – to reach out to a child, to teach, to mentor, and assist in their educational life. Do you live outside or in a vehicle? Were you arrested or unfairly ticketed? Were you ticketed excessively in Venice? Were you wrongly towed in Venice? Were you unjustly harassed in Venice? Remember to bring all documentation! Here are some of my comments based on the proceedings of the Homeless Emergency Task Force Mtg held Thurs, Oct 26. 10 participants.First and foremost, I believe establishing a forum for dialog is key to resolving our challenges in the community. I am glad to be part of bringing more awareness to all affinity groups…. Informal survey taken myself before attending mtg. on Thurs evening as people waited for bus. In line stood about 30 people and the line continued to grow. Many offered their input. Their shelter experience is currently a positive experience – clean bed, healthy food, LAHSA mgmt team polite and respectful. Noted though that only a couple of women were in line waiting for the bus. Also no one under 30 was present……did hear need for beds outweighed number of beds available.Task Force to seek further funding options, public and private, provide more beds until the full Winter shelter program is open at the beginning of December. Also offer changes to layout to encourage more participation from women and youths such as more clearly defined separate quarters. Some members of the Task Force suggested supporting the passage of the proposed revision to LAMC 42.15. Linda Lucks to send out details. Others suggested letter writing campain to local papers too. Some of the participants on the Task Force expressed concern about food distribution on the boardwalk. Some spoke about the impact to tenants that owned eating establishments and impact to tourism. Part of my role was to remind the group of our collective basic human rights. Others did the same. As well, I am reminded of more than one story of tourists that have approached me during times when food is distributed acknowledging their curiosity and goodwill towards others. Additionally I am told of many instances of tourists approaching food distribution stations to offer monetary contributions along with words of encouragement. Even Anthony Hopkins is seen regularly leaving donations. Another concern was that people that could afford to pay for food at eating establishments were assumed to be participating in the food giveways as recipients. My informal survey did not substantiate that claim at this point. I suspect those making that claim may feel undue pressure at work to maintain their employment status or business operating. Their fears about losing profit are real concerns but food giveaways to feed people that are hungry who cannot typically afford this basic human right should not be use as the main cause. Our current economic situation in the country and abroad is declining. I suggest those members engage in political causes to change current policies that remove corporate loopholes for large multinational corporations so that small business owners have a fair chance at existence as opposed to targeting an already at risk group. Venice as well reminded by the current President of the Neighborhood Council has always been a place were those that have and those that have little co-exist. I was asked how many people that are defined by our society as homeless are dealing with mental illness? My estimate was 25%. One problem I see everyday is that the needs of those individuals with mental illness are being blantantly ignored through society, because we as a collective are allowing this to members of our society. As well I was asked how many people did I believe refuse any services at all. Frankly as I mentioned to the group I am appalled at the term service resistant. To my knowledge everyone I have spoken to is or has a desire to belong to connect to participate in society. Some of the participants of the task force were frustrated with my accessment but I did state I did not have a percentage to note off the top of head but I would inquire. To me you have to look at your approach as well. Are you coming across as condensing or dictating or accusatory when inquiring of others? When I engage in dialog I initially see resistance from some people but as I listen to the reasons to learn about their situation then I often find out most are actively involving in some form of service. Yes, there are services but the effectiveness of the services is rarely evaluated, and those organizations that profit on the misfortune are over not addressed which causes further isolation of the individual. 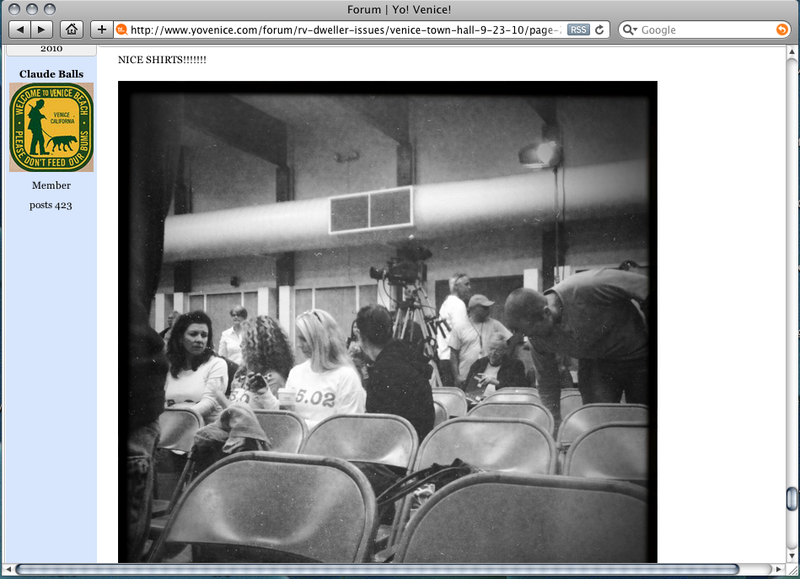 Young adults/kids that were in foster care until they get released with nowhere to go…. Mom and/or dad trying to make it but the rising costs overwhelm them to the point where they lose their home…. The veteran who is suffering from post traumatic stress disorder. the list goes on and on. Often women living on the streets are sexually assaulted by not only others living on the streets but sexual predators that are traditionally housed…in fact I am aware of a handful of men that we have had to address on the boardwalk in the last year. I suggested and will continue to suggest that a coalition form of affinity groups that will outreach to those suffering from mental instability using a model that builds empowerment, psychological resilience, independence and individual growth along with shelter. A connection back to healthy mind, spirit and body…. And it was noted by quite a few of the participants that a group of younger adults/kids were reported to be creating disturbances on Venice Boardwalk through the night. This group is defined as runaways or kids without a home. I was not actively engaged with this group but will investigate to learn more about the situation. This was not the entire list of items but provides a bit of what transpired. The task force will meet again soon. Recently the same individual that volunteers for a local non profit assisting with food distribution has been ticketed twice by LAPD Officers for us of an abandoned shopping cart. In the second instance (maybe both, cannot recall) LAPD Officers on horseback approach the individual in the lot across from the pagoda adjacent to Sunset Ave. Witnesses report an Officer made statements that alleged feeding people increases crime. Efforts are being made to replace the cart with another cart either from the Catholic Workers or another source to eliminate the harassment to some extent. The reality is that pressure by this crew on horseback of those addressing basic survival needs for others requires not acceptable to me. What about you? Letś work together to bring light to this behavior which is a misuse of power. Please forward to your contacts to build awareness that we must work together to provide basic rights to all of our Venice family. Frankly, the crew of Officers on horseback have been very rigid in their approach for months now. Another example I recount from a witness regarding a tourist that was smoking outside the bathroom. The crew on horseback approached the man stating he was in violation and would be cited. The man stated he did not realize that smoking outside the bathroom was not okay because no sign was visible. The man then proceeded to put out the cigarette in compliance. At that moment one of the Officers stated the man was littering and would be cited. The witness began repeating what the Officers were doing to others approaching and the injustice occurring. Eventually the Officers changed their stance and gave the man a warning but had that man been alone…..
A temporary Westside emergency shelter program has been initiated six weeks ahead of schedule as a way to provide more immediate assistance to the homeless in Venice, Westchester and other parts of the Westside. In response to an unusually large number of homeless people, many of whom are young adults, sleeping on the Venice Boardwalk, as well as a population in Westchester Park, Los Angeles Councilman Bill Rosendahl and Mayor Antonio Villaraigosa sought to open a temporary shelter prior to the winter. While the Westside has no year-round emergency shelter beds, the program is intended to provide the homeless some relief in the weeks prior to when the annual Winter Shelter Program begins Dec. 1. The mayor and councilman were able to secure the funding needed to open the shelter earlier by reprogramming $90,000 in savings from federal block grant money and with $20,000 from the councilman’s Roadmap to Housing program, which works to house people living in their vehicles. The Los Angeles Homeless Services Authority (LAHSA) Commission voted Oct. 4 to approve a contract with First to Serve for the temporary emergency shelter. Under the contract, 50 shelter beds will be provided each night at the West Los Angeles Armory, beginning Saturday, Oct. 15 and continuing through Nov. 30. The full Winter Shelter Program will then take over, offering at least 160 beds at the West L.A. and Culver City armories through March 15. Rosendahl said the temporary shelter will help address concerns where the recent proliferation of homelessness on the Westside has been most apparent, Venice Beach and Westchester Park. Through the shelter program, homeless in those areas can be picked up and transported to the armory, he said. During a visit to the boardwalk one recent morning, Rosendahl said he saw hundreds of people sleeping, including young men and women. “There was a whole range of homeless I saw sleeping on the beach,” the councilman recalled. Peter Griffith, communications director for the Los Angeles Homeless Services Authority (LAHSA), said between Sept. 18 and 27, emergency response teams encountered up to 202 homeless people on the boardwalk in one outreach effort, many of whom were young adults under the age of 30 and nearly 70 percent were from out of state. Though shelters do not provide a long-term solution to the homeless problem, they can help resolve the most immediate needs of the individuals and get them off the streets as the weather becomes colder, Griffith said. “The temporary emergency shelter, while not a perfect solution, will provide those most vulnerable with an alternate place to go to that’s safe and where they can get a hot meal,” he said. Law enforcement officials have reported an uptick in crime in areas with high numbers of unsheltered homeless, and offering a temporary shelter for the most vulnerable can allow police to focus on other community issues, Griffith added. People Assisting the Homeless (PATH), an organization that has worked with homeless on the Westside, most recently with those living in vehicles, is primarily focused on efforts to create affordable housing opportunities, but believes shelters can provide another resource for taking care of some basic needs, said Jeremy Sidell, PATH communication officer. “We support any effort in (Council District) 11 to serve the homeless population and we’re certainly hopeful this will help to provide some assistance, especially to those youth living down on the boardwalk,” he said of the shelter program. After noticing a situation that became “out of control” on the boardwalk with hundreds of homeless sleeping outside, Venice Neighborhood Council President Linda Lucks said she approached city officials about having the Westside shelter open earlier than usual. Lucks noted that it was a challenging political effort for the city to identify funding and get approval for the early shelter, and she credited Rosendahl and the mayor with helping to make it happen. “I’m delighted that city and county officials saw the need and rose to the occasion, and that they came up with the money and had the political will to deal with an emergency situation on the Westside of L.A.,” Lucks said. Aside from the ongoing economic crisis, one factor that might be contributing to the influx of homeless on the boardwalk is the lack of an enforceable vending ordinance, Lucks surmised. An amended version of the ordinance was approved by the Board of Recreation and Park Commissioners Oct. 5 and if it is later approved by the City Council, it could help improve the situation on the boardwalk, she said. Westchester Park has also had issues in recent months with a homeless population sleeping outside near buildings and in bushes. Some patrons of the Westchester Senior Center inside the park claim they have been verbally harassed by homeless individuals in the parking lot and staff have encountered homeless people sleeping in the doorways when they arrive in the morning. A PATH outreach spokesman said some of the individuals are chronically homeless and most are men who struggle with mental illness or drug and alcohol addiction. Booker Pearson, chair of the Neighborhood Council of Westchester-Playa’s homeless committee, said a survey conducted by PATH last month counted 13 homeless people sleeping outside and 27 vehicles that appeared to be occupied. Offering shelter services may not be the ultimate solution, but it can help take care of some of the homeless’ needs while officials seek long-term solutions such as permanent housing with supportive services, he said. “Of the people we interviewed most said they would like to be able to access a shelter to have a shower and a warm meal,” Pearson said. Following the survey at the park, PATH can begin to assess the needs of those living in the park and representatives of the county Department of Mental Health can also provide some assistance, he said. Sidell of PATH agreed, saying the survey has provided a blueprint of the people in the park and the agency can begin working on connecting them to services. GENEVA, CH – Today, in an official report to the United Nations Human Rights Council, a top UN investigator said that the United States’ failure to provide homeless persons access to water and sanitary facilities “could […] amount to cruel, inhumane, or degrading treatment.” The report was issued by UN Special Rapporteur on the Human Right to Water and Sanitation Catarina de Albuquerque. The Rapporteur’s Report is available at: http://www2.ohchr.org/english/bodies/hrcouncil/docs/18session/A-HRC-18-33-Add4_en.pdf . It will be officially presented to the Human Rights Council at their session next month. 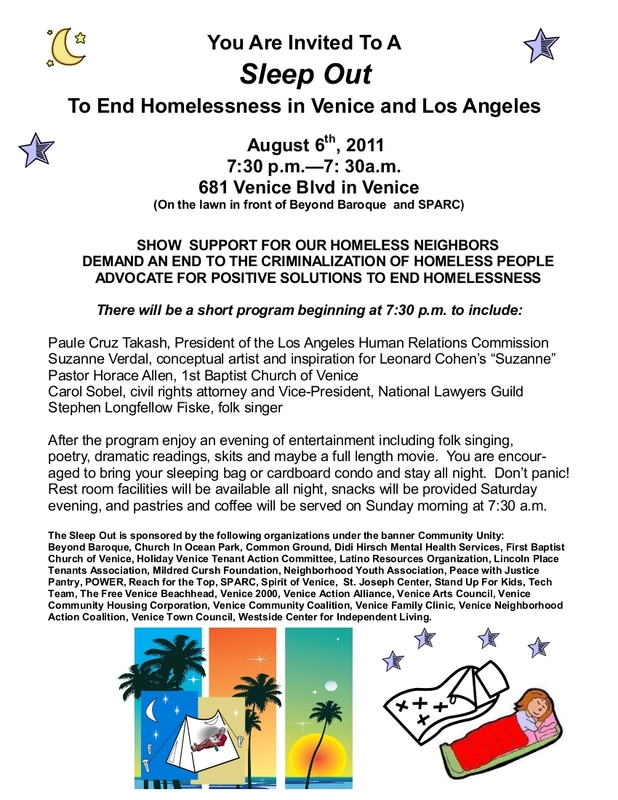 August 6, 2011, from 7:30 to 9:00 pm in Venice, at the Beyond Baroque arts center, scores of Westside residents –and others from throughout Los Angeles –are planning a large event around community solutions for ending homelessness. Attorney Carol Sobel will be our keynote speaker, and there will be snacks, songs, poetry; and later, a free showing of “the Soloist” –to have a night of solidarity with all our friends united in seeking positive answers for those on the streets, shelters and living in vehicles –and who are seeking our united answers to their needs. Everyone who wishes is also invited for the entire night of community unity –and to later join us afterwards –for a legal overnight community “Sleep Out” to end homelessness, which will be family-friendly, and outdoors on the lawn of the arts facility for the night. We hope our evening of events will inspire more. It is sponsored by many of the Westside’s leading community support organizations; including the Venice Family Clinic, Common Grounds, Venice Community Housing, Stand Up For Kids, The National Lawyers Guild, the Venice Arts Council and many others. THE RIGHT TO SHARE FOOD COALITION WILL BE HAVING OUR THIRD RIGHT TO SHARE FOOD EVENT – IT WILL TAKE PLACE ON THURSDAY JUNE 2nd, 2011. LA Food Not Bombs will be providing food for this action. Guerrilla FNB is also an organizing partner (though, unfortunately, work schedules have kept us from participating in the Thursday action this year). Downtown has been under a gentrification attack for many years now. Food service providers have been intimidated and harassed and that’s nothing compared to what people living on the streets or in shelters experience from the LAPD, Public Health (red shirts) and other local government agencies. We must demand the city provide for the basic needs of its residents instead of trying to hide them! The right of share food struggle continues across the nation and here in Los Angeles. In Los Angeles government has been attempting to effect social engineering by trying to cut off the food that charitable volunteers provide to homeless people living on the streets of Skid Row Los Angeles. The goal of these social engineers is simply to control and disperse homeless people. At Right To Share Food Coalition we believe that sharing food with our brothers and sisters is fundamental human right. We believe that sharing food is protected by the freedom of association clause of the first amendment of the constitution. On Thursday June 2nd2011 Right To Share Food Coalition will be holding our third public Right To Share Food Event. I am writing you to encourage you to attend and publicize this event. Flyer artwork for this event is at the bottom of this e-mail newsletter. This is the one year anniversary of the take down by government of the Towne Ave. Soup Line. We will be celebrating our right to share food. We will also celebrate our right to associate and assemble. THIS EVENT WILL TAKE PLACE ON THE CORNER OF 6TH STREET AND TOWNE AVE. (SOUTH SIDE) SKID ROW LOS ANGELES. At Right To Share Food we believe that sharing food With our brothers and sisters is a fundamental human right. On April 10, 2011 St. Joseph Center’s Bread and Roses Cafe was featured on ABC’s Secret Millionaire. Local resident Ali Brown, a successful entrepreneur, spent a week volunteering undercover with social service agencies in Venice and then came back to made donations to support their work. St. Joseph Center was grateful to be included on the show and deeply appreciates Ali Brown’s generosity.Since St. Joseph Center opened it in 1989, Bread and Roses Café has provided homeless men, women and children with a nutritious meal in a comfortable, welcoming environment. From the old union anthem Bread and Roses, we know that “hearts starve as well as bodies.” This realization led to the development of our café.Each day, up to 150 homeless men, women and children eat at Bread and Roses. In place of a soup line, guests are provided with the ambience of a restaurant in which volunteers act as waiters while diners eat a meal set at tables replete with tablecloths and fresh flowers. The Café fosters feelings of respect and trust between guests and staff.In addition, Bread and Roses Café serves as a training site for students enrolled in St. Joseph Center’s Culinary Training Program, which offers 10 weeks of training in food service skills to adults with barriers to employment. Each year, Bread and Roses Café serves about 25,000 hot, nutritious meals to more than 2,000 homeless men, women, and children. For the past nine months, this advocate has watched POWER, CD11 and LA Housing manipulate, with apparent amusement, a homeless physically challenged low income under represented African American Viet Nam Veteran who has served as President of the Oakwood Park Advisory Board for the past three years. Your three organizations, one a city office, one a 501c3, and one an elected office have forced Mr. Grant to fill out at least eight applications after he was approved for an apartment on Princeton in the Marina after he had his private interview with the leasing agent. POWER promised Mr. Grant keys to this apartment to which he was approved in three days; but this was nine months ago. Mr. Grant waits daily for a response. It appears your offices have assisted in this stall or “Gaslight behavior” to continue hoping Mr. Grant will go away. This is very wrong and resolution needs to occur. About 18 months ago, current VNC Vice President Carolyn Rios informed this advocate that as chairperson of the VNC Homeless Committee, the committee had finished its work and the committee disbanded. Why was none of that report ever implemented? Look at the time wasted and the situation our community and Mr. Grant are in. Might VNC be added on as the fourth organization? Are these two incredulous stalls, one against a large group of homeless RV dwellers and fed up homeowners; and one against an individual homeless African American, any different? Finally we await the LA City mitigation report investigating the Grant case that was completed several months ago that appears to sit at LA Housing in a stall pattern? More cover up? CD 11 continues to share names of those who they say will save the day , but when these individuals are contacted, they are not sure why they were the “chosen one” by the office of CD11 Bill Rosendahl. Might you work in harmony and please provide Mr. Grant his promised keys ? It has been almost two months since P.A.T.H. was approved as the only applicant for the Streets to Home Program. Approved by VNC on December 21, 2010 — Was this necessary? Must now be Approved by City Transportation and then City Council. How long will these processes take ? 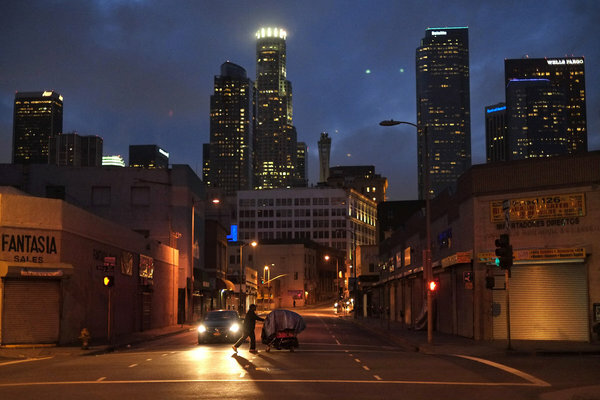 A nonprofit organization that works specifically with homeless people in areas across Los Angeles County has been selected as the agency to manage a proposed safe overnight parking program on the Westside. Under the program, those who are forced to live in their vehicles on the streets will be offered designated areas in Los Angeles City Councilman Bill Rosendahl’s 11th District where they can park safely overnight and begin the transition into housing. The participants, who must follow certain regulations, will be provided with basic amenities such as restrooms, showers and trash facilities, and will have access to services including case management. Known as “Streets to Homes,” the parking program will be administered by the Los Angeles Homeless Services Authority (LAHSA). Following the issuance of a request for proposals (RFP) for the initiative, the LAHSA board has selected People Assisting the Homeless (PATH) to receive a contract to further develop and run the program, said Calvin Fortenberry, LAHSA spokesman. The effective date of the appointment is yet to be determined. PATH is a non-profit that works to combat homelessness by empowering homeless people with the tools for self-sufficiency. The agency, which serves people in several sites throughout the county, aims to provide services that help the homeless find work, save money, secure housing and empower their lives. As the chosen Streets to Homes service provider, PATH will work with the community, Rosendahl’s office, the Los Angeles Police Department and other agencies to evaluate and refine the program, according to LAHSA. A spokesperson for PATH was unavailable for comment on the selection. The Streets to Homes program has been proposed as local communities, particularly Venice, have looked to find solutions in recent years to an ongoing problem of RVs and other vehicles lining the streets for extended periods. After the California Coastal Commission has twice rejected permits for overnight parking restrictions in Venice, the Los Angeles City Council approved restrictions banning the overnight parking of so called “oversize” vehicles on city streets. But with such oversize parking limits in place, community leaders wanted to ensure that those forced to stay in their vehicles would have a place to park safely as they transition into housing. The safe parking pilot program in the 11th Council District is modeled after similar efforts in Santa Barbara and Eugene, Ore. Rosendahl, who has been a strong advocate for the initiative, said he is “delighted” that PATH has been chosen as the agency to run the program. “(PATH) has a great history with the work that they’ve done. I have great respect for them and I have over the years,” Rosendahl said. Venice community members who are familiar with the efforts to address the vehicular living issue were also quick to offer praise to the new program manager. “Their reputation is stellar. 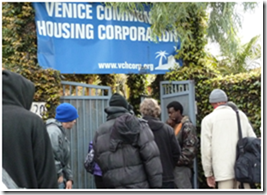 They do great work all over the city of L.A. with the homeless,” Venice Neighborhood Council President Linda Lucks said. “Of all the agencies, I couldn’t be happier (that PATH was selected) because they are comprehensive and citywide. David Ewing, a member of the Venice Action Alliance, which has advocated for implementing the safe parking program in conjunction with the oversize restrictions, also referred to the advantages of PATH’s extensive outreach. But Ewing added that one disadvantage to not being a locally based organization is that PATH may not know the “local players” or have a feel for the terrain like a local organization would. He noted that according to the RFP, the service provider will be collaborating with other local agencies for various components of the program. As part of the process, the manager will assess the vehicular homeless population to find people who meet the criteria for participation, including those willing to act as good neighbors, Lucks noted. The participants will agree to obey a code of conduct, or face possible removal. During the program, outreach and engagement teams will visit with the participants and maintain contact with them. The designated parking zones will include areas such as church, temple and nonprofit organization lots. Referring to resident concerns about the location of the lots, Arnold has said the sites will be selected with community involvement. Now that a service provider has been determined, community leaders expressed encouragement as the Streets to Homes effort moves ahead as a way to resolve the local problem. Now more than ever, those that stand for civil rights for homeless individuals, are encouraged to send emails, letters, etc to request the newly elected Assembly re-intro legislation requesting amendment of the civil rights codes to include persons defined as homeless to fall under the same protections as other groups that are subjected to acts of hate, violence and abuse. Bonnie Lowenthal from the 54th District (Long Beach, CA) authored the bill. The bill was co-authored by Isadore Hall from the 52nd District (Compton, CA). The bill was approved by the Assembly and Senate but Vetoed by the Governor. I am encouraging Ms. Lowenthal to reintro the bill, after review of the veto concerns, and the review of the current reform made in other states such as Florida, Maine, Maryland, and the District of Columbia. I also encourage people to contact the newly elected 53rd District Assembly member Betsy Butler to support this legislation and those of you located in other Assembly districts in California. As someone who is a volunteer that advocates for homeless rights, and lately also living as one of the homeless (including sleeping on public sidewalks) I have a great deal of video evidence and witness reports of attacks that would be classified as hate crimes if proper legislation was written. No one should be harassed or attacked for being homeless. We have members within our community regardless of economic contribution that push the envelope, or act out for drama sake, or are psychological disturbed, and filled with hatred that project that pain out against others. An entire group of persons should not be penalized for certain individuals behavior – which should be addressed on a case-by-case basis. This bill would specify that homeless persons, as defined, are entitled to the rights set forth under existing law, and would provide that a homeless person has the right to be free from violence or intimidation by threat of violence directed against that person on the basis of that person’s status as a homeless person. The bill would also provide that these provisions shall not be construed to enlarge or diminish an existing duty, if any, by an owner of residential rental or commercial property to protect a homeless person who is present on the property from violence or intimidation by threats of violence. lights on directed at both sides of the street. This LAPD unit didn’t return after that episode at 2:00am. I was informed by witnesses that a team of Officers awakened people in the middle of the night last week to check ids. Was this the same team? Hmmm… I wasn’t sleeping on the sidewalk on 3rd Ave that evening but the power of video makes a difference. It should be noted this was not the typical unit, Officers Gonzales and McGinnis, which I am told go on duty at 3:30am. Nice kids for the most part though initially the video camera made Gonzales nervous who flaunted at the camera until she got used to it. Now she waves, and I wave back if I’m not in the middle of video taping a situation. consistent, with integrity, and honesty, whether or not you or anyone else agrees with the law. If you as the willing participant also violate laws to enforce others, where is the justice? Acevedo v. City of Jacksonville Beach, No. 3:03-CV-507-J-21HTS (M.D. Fla. 2003). Homeless individuals and a non-profit homeless services provider brought a § 1983 action against the City of Jacksonville Beach, Florida, and the city police alleging violations of their First, Fourth, Fifth, Eighth, and Fourteenth Amendment rights (and similar claims under the Florida Constitution) when the police arrested them for violating an anti-camping ordinance and seized and destroyed their belongings. The parties jointly dismissed the case, because none of the plaintiffs was able to continue with the suit. The plaintiffs’ counsel report that they have not heard of police harassment since the suit was filed and are continuing to monitor the situation. Amster v. City of Tempe, 2001 U.S. App. LEXIS 9239 (9th Cir. 2001). The Ninth Circuit rejected plaintiff’s facial challenge of a Tempe ordinance requiring a person wishing to sit or lie down on a city sidewalk for certain types of events first to obtain a permit. Amster had organized several demonstrations on the city’s sidewalks without first obtaining permits, although the city had never actually enforced the ordinance during one of his demonstrations. The court found that the ordinance regulated conduct,i.e., sitting or lying on a public sidewalk that was not expressive by itself. Accordingly, the ordinance survived a facial challenge. Ashcraft v. City of Covington, No. 02-124-JGW (E.D. Ky. Sept. 23, 2003). Homeless individuals brought a § 1983 action against the City of Covington, Kentucky, and its mayor alleging violations of their Fourth, Fifth, and Fourteenth Amendment rights when city employees and police raided their camps and seized their property. In reviewing cross-motions for summary judgment, the federal magistrate judge found that the plaintiffs were not trespassing, and therefore had a reasonable subjective privacy interest in their property. The plaintiffs’ Fourth Amendment claim thus survived summary judgment. The magistrate also found, however, that there was no substantive due process violation, and that the city’s defense of qualified immunity could stand for the other claims. The case settled in 2004 – each of the 5 plaintiffs received $1000 and their lawyers received attorney’s fees. Berkeley Community Health Project v. City of Berkeley, 902 F. Supp. 1084 (N.D. Cal. 1995). In February, 1994, plaintiffs challenged two recently enacted Berkeley ordinances prohibiting sitting or lying down on a sidewalk within six feet of the face of a building during certain hours and soliciting in certain locations or in a “coerc[ive], threaten[ing], hound[ing] or intimidat[ing]” manner. Plaintiffs alleged violations of their rights under the First and Fourteenth Amendments to the U.S. Constitution and various provisions of the California Constitution. The U.S. District Court for the Northern District of California issued a preliminary injunction forbidding enforcement of the anti-solicitation ordinance, finding that it was a content-based regulation of speech in violation of the Liberty of Speech Clause of the California Constitution. The court also issued a preliminary injunction prohibiting enforcement of the restriction on sitting, finding that sitting can sometimes constitute expressive activity, and that the ordinance did not further a substantial government interest unrelated to expression, was not narrowly tailored, and did not leave open ample alternative channels of communication. Defendants appealed the court’s decision on the anti-solicitation ordinance to the Ninth Circuit, but the case was settled before the appeal was heard. Betancourt v. Giuliani, Case No. 04-0926 (2d Cir. 2005). Augustine Betancourt brought suit against the Mayor, Police Commissioner, and the City of New York for his arrest under Section 16-122(b) of the New York Administrative Code. The arrest occurred late in the evening on February 27, 1997. Plaintiff entered Collect Pond Park in lower Manhattan with some personal belongings, three cardboard boxes, and a loose piece of cardboard. Betancourt made a tube out of the cardboard and slipped inside it on a park bench. He was arrested for violating the statute which makes it “unlawful for any person[s] . . . to leave . . . or permit to be left, any box, barrel, bale of merchandise or other movable property whether or not owned by such person[s], upon any . . . public place, or to erect or cause to be erected thereon any shed, building or other obstruction.” After his arrest, he was strip-searched and placed in a holding cell. He was not prosecuted. Betancourt brought a number of claims against the city, including a claim that the statute was unconstitutionally vague and overbroad as applied to his arrest. He also alleged that the strip search violated his Fourth Amendment rights because he was arrested for a minor offense and police did not have reasonable suspicion that he was concealing a weapon or other contraband. Betancourt asserted the statute should be analyzed for vagueness using an “especially stringent” standard because the statute involved his fundamental right to travel and imposed criminal penalties without requiring a finding of criminal intent. The court, reasoning that the statute did not penalize “merely occupying” public space but rather obstructing public space, held that the statute did not penalize the right to travel. Accordingly, the court rejected both arguments and considered whether the statue was vague as applied to Betancourt, under a standard which it characterized as “fairly stringent.” The court found that the statute passed muster under this standard and granted summary judgment in favor of defendants. The court found Betancourt had sufficient notice that his conduct was prohibited, and there are sufficient guidelines in place to limit police discretion in its application. The court granted Betancourt summary judgment on his illegal strip search claim but granted summary judgment in favor of defendants on all other claims. Betancourt appealed, again arguing that the statute is unconstitutionally vague because it does not provide sufficient notice of the conduct it forbids and does not provide adequate guidelines to law enforcement. Betancourt argued that no reasonable person would consider the statute’s terms “shed” and “building” to be in the same category as the “cardboard tube” Betancourt had slipped into. Moreover, Betancourt argued that he was not “obstructing” anything, any more than a person sleeping on a bench in an overcoat would. Regarding minimum guidelines to govern law enforcement, Betancourt contended that the “police confusion and judicial hairsplitting” in the court below evidenced that the statute does not provide adequate guidelines. Betancourt also argued that the statute is unconstitutionally overbroad as applied, that Betancourt was arrested without probable cause, and that the statute violates Betancourt’s fundamental right to travel. The parties are awaiting a decision from the appellate court. Cash v. Hamilton Department of Adult Probation, 388 F.3d 539 (6th Cir. 2004) cert. denied, City of Cincinnati, Ohio v. Cash, 126 S. Ct. 396 (Oct. 3, 2005) (NO. 04-1569) and cert. denied, Hamilton County Department of Adult Probation v. Cash, 126 S. Ct. 545 (Oct. 31, 2005) (NO. 04-1631). Homeless individuals brought a § 1983 action against the City of Cincinnati and Hamilton County alleging that the city violated their Fifth and Fourteenth Amendment rights when their personal property was taken and destroyed by a city clean-up crew instructed to clean out under bridges/viaducts where homeless individuals resided. The District Court for the Southern District of Ohio granted summary judgment for defendant government officials. The Sixth Circuit reversed the district court’s summary judgment and remanded the case. The Sixth Circuit received two petitions for rehearing en banc, which it denied on the grounds that the issues raised in the petitions had been fully considered. The case is back in district court. The Center v. Lingle, No. 04-537 KSC (D. Haw. 2004). The ACLU of Hawaii sued the governor and Hawaii’s Attorney General on behalf of The Center (a nonprofit organization providing services for lesbian, gay, bisexual, transsexual, intersex, and questioning Hawaiians), Waianae Community Outreach (a non-profit organization providing services to the homeless), and an individual plaintiff to seek an injunction barring the enforcement of a criminal trespass statute. Plaintiffs alleged that the statute violated the First and Fourteenth Amendments as well as the Hawaii Constitution. The statute, passed as Act 50, allows authorities to ban a person from any public property for up to one year, after issuing a written trespass warning statement. The individual plaintiff was allegedly banned from Hawaii public libraries for a year for looking at gay-themed web sites on library computers. Plaintiffs also contended that the statute has been used to ban homeless persons from public beaches and public parks and to threaten homeless persons to leave certain public property immediately. The plaintiffs alleged that this law lacks standards for determining what speech or conduct is prohibited and fails to provide any procedural safeguards. Therefore, plaintiffs claimed that the statute violates the First and Fourteenth Amendments of the U.S. Constitution and a provision of the Hawaii Constitution. Plaintiffs also argued that the statute is unconstitutionally vague and fails to establish the required minimal guidelines to govern law enforcement. Plaintiffs also challenged the statute for impermissibly making a distinction based on content, by favoring speech related to union activities. Finally, the Plaintiffs claimed the statute infringed on one’s right to move freely. The plaintiffs’ complaint sought declaratory and permanent injunctive relief, as well as a declaration that the statute is unconstitutional as applied. The ALCU lawsuit, combined with strong opposition from other homeless service providers, sparked the legislature to consider a repeal of Act 50. The legislature ultimately did not completely repeal the law, but came up to a compromise with legislators concerned about squatters. The law as passed does not allow police or others to ban individuals from public property, but it does create a petty misdemeanor offense for criminal trespass if an individual remains in a public park or public recreational grounds after an officer tells him/her to leave, pursuant to a posted sign or notice governing the activity on the grounds. The ACLU continues to worry about discriminatory enforcement. The governor signed the new bill into law on July 8, 2005. The ACLU is presently in settlement negotiations with the state. Cervantes v. International Services, Inc., Case No. BC220226 (Cal. Super. Ct. 2002). In November 1999 the ACLU filed a class action on behalf of a group of homeless individuals in downtown Los Angeles. The class action sought relief from conduct carried out by private security guards. Local merchants and businesses, pursuant to state law, had formed Business Improvement Districts (BIDs) and used the guards to supplement regular municipal police efforts. The lawsuit alleged that the guards intimidated and harassed homeless individuals through illegal searches, seizures, detentions, and threats in an effort to coerce the individuals into leaving the BID. The complaint, based entirely on state law, alleged violations of the California Constitution and Civil Code, as well as numerous intentional torts. The plaintiffs have since reached settlement agreements with some of the defendants. At least one of the final settlements included protocols establishing behavioral guidelines for the security guards, as well as agreements by the private security agencies that they would train their employees to comply with the settlement. The defendants agreed to compensate the Los Angeles Inner City Law Center for monitoring the conduct of the security guards for a period of two years. The plaintiffs also obtained a preliminary injunction prohibiting the confiscation of personal property left on public sidewalks. A motion for class certification is pending at this time. City of Sarasota v. McGinnis, No. 2005 MO 16411 NC (Fla. Cir. Ct. 2005). After two Sarasota ordinances aimed at prohibiting sleeping outside were overturned by state courts, the City of Sarasota passed a third ordinance that prohibits lodging out-of-doors. Under this ordinance, it is illegal to use any public or private property for sleeping without the consent of the City Manager or property owner. The ordinance says that one or more of the following must exist in order to make an arrest: numerous personal items are present; the person is engaged in cooking; the person has built or is maintaining a fire; the person has engaged in digging; or the person states that he or she has no other place to live. The defendant moved to find the ordinance unconstitutional in violation of substantive due process for criminalizing innocent conduct and void for vagueness, since the ordinance does not give sufficient notice to prohibited conduct or sufficient guidelines for law enforcement. In December 2005, the court denied the defendants’ motion to find the law unconstitutional. The court determined that the law was constitutional as it was not void for vagueness and did not violate substantive due process. Further, the court found the law did not violate equal protection rights. City of Sarasota v. Tillman, No. 2003 CA 15645 NC (Fla. Cir. Ct. 2004). The Circuit Court for the Twelfth Judicial Circuit for the State of Florida reviewed the case in its appellate capacity and found the ordinance unconstitutional on the grounds that the ordinance was void for vagueness and violated substantive due process by effectively making criminal the non-criminal act of sleeping. The city then petitioned the Second District Court of Appeal for certiorari review and the court denied the petition. Instead of asking for rehearing, the city enacted a criminal lodging ordinance. However, the lodging ordinance was subsequently struck down in City of Sarasota v. Nipper. City of Seattle v. McConahy, 937 P.2d 1133 (Wash. Ct. App. 1997). Plaintiffs challenged the constitutionality of an ordinance prohibiting sitting on sidewalks in Seattle’s downtown area during business hours. Plaintiffs claimed that the ordinance violated their substantive due process and free expression rights and infringed upon their right to travel. They also alleged the ordinance was contrary to the Privileges and Immunities Clause of the Washington State Constitution and Washington’s ban on discriminating against persons with disabilities. In rejecting plaintiffs’ arguments, the court held that the ordinance furthered the legitimate police power interest of promoting pedestrians’ safety and reducing crime and infringed only minimally upon the freedoms of movement and expression. The court reasoned that sitting is mere conduct and has no inherent expressive value and that the Privileges and Immunities Clause was not implicated because homelessness was not a protected class. Further, the right to travel was not implicated by the statute as the statute did not exact a penalty for moving within a state or prohibiting homeless people from living on streets. In City of Seattle v. McConahy, 133 Wn. 2d 1018, 948 P.2d 388 (1997), the Supreme Court of Washington denied a petition for review of this Appellate Court decision. In re Eichorn, 81 Cal. Rptr. 2d 535 (Cal. App. Dep’t. Super. Ct. 2000). Police officers arrested James Eichorn for sleeping in a sleeping bag on the ground outside a county office building in the civic center. Eichorn was convicted of violating a City of Santa Ana, California ordinance that banned sleeping in certain public areas. Prior to Eichorn’s trial, the California Supreme Court found the ordinance to be facially neutral and therefore constitutional. At trial, Eichorn had to argue the necessity defense and he attempted to prove that on the night of his arrest, there were no shelter beds available. The court found Eichorn had not made a sufficient enough showing to allow a jury to consider the defense. After objecting to the judge’s ruling, Eichorn’s lawyer decided to go forward without a jury on the constitutionality of the ordinance. The trial judge convicted Eichorn of violating the city ordinance and Eichorn lost an appeal to the Appellate Department. Eichorn then filed a writ of habeas corpus. In the habeas decision, the Appeals Court found Eichorn was entitled to raise the necessity defense, granted the writ and remanded to the municipal court with instructions to set aside judgment of conviction. Ultimately, the municipal court set aside Eichorn’s misdemeanor conviction for illegal camping and his sentence of 40 hours of community service. The District Attorney also decided not to retry him. Rally and March THURSDAY, September 23, 2010. @ Westminster School, 1010 Abbot Kinney Blvd. STAND UP to your GOVERNMENT. rvliving@att.net forwarded this craigslist.org posting. You can live in Venice all your life, work on the boardwalk 20, 40 years, vote, go to school there and pay taxes but if your a Rv resident it just takes ONE call from one stakeholder to the police and you find yourself a criminal. You could go to jail, lose everything you own including your dog and even your family. 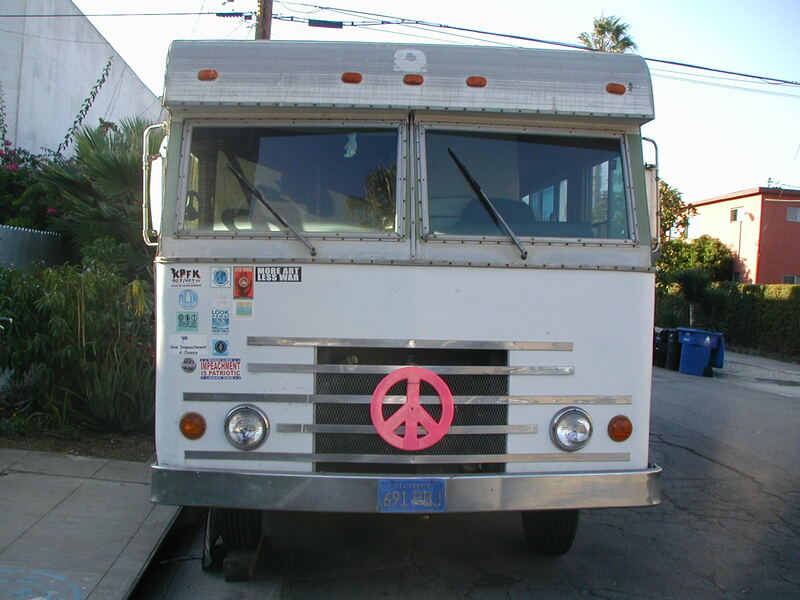 Councilmember Rosendahl has a program for the Rv residents of Venice, Ca. called The Carrot and The Stick Program. The carrot and stick approach was first used by the Hindi owners of donkeys in order to keep their animals moving. So my question is: Do all donkeys drive Rv’s? For over two years, your office and the new leaders of VNC Linda Lucks and Carolyn Rios, have completed a two year study and report regarding homelessness in Venice. Both your office and the new leaders of VNC failed miserably to create social change and find a solution to this problem. Why has every other community up and down the coast found solutions for their beach community , but not CD11 nor VNC. This is all about Venice land, ego,power, and cover up and your office is well aware of the “mean spirited” games you are playing. When VNC Vice President Carolyn Rios informed this advocate that the work of the VNC Homeless Committee was complete, I just stared at her and said to myself, “What have you accomplished ? ” Your office and VNC continue to play trickster like games with those who do your “less than clean” work to create chaos and obstruction to gentrify Oakwood pretending you are helping the people. Your actions below probably will not succeed because pitting the California Coastal Commission against the City Council is just not a good idea or good politics. The job now is to get both sides of the community proactive and obtain a site for those individuals who need assistance and at the same time move out the criminals. VNC tried and failed as well as CD11. Did VNC ever want to solve the problem? It’s time you help all the people and create a homeless plan than works rather than fight with one side of the community to satisfy your ego. Everyone in Venice has had enough of CD11 and VNC “less than fair politics” in a system with a non working complaint process. It appears the goal of CD11 and VNC is total control rather than serve as those elected for the good of the community. Please stop your threats below and create some workable solutions. I have no choice but to be direct; as your office does not listen to certain portions within the community who cannot compete against the other side based on socio-economics. Many Venice, California residents see their street homeless and think “degenerates.” These folks low on the compassion totem pole have taken their disdain a step further, going on for weeks with a letter writing campaign to ask the Mayor and Los Angeles Police Department to get rid of the Venetian “bums.” And that’s the kindest thing they’ve been called; other labels include “criminals,” “crazy,” “addicts” and “black guys.” Very nice. The LAPD’s presence seems to have disappeared in Venice and, thus, crime has increased. Some residents have shared stories of people sleeping in their driveways, breaking into their homes, threatening their lives and the lives of their young children. These are very scary and serious issues, but the residents of Venice need to take deep breaths and think for a minute before they blame the homeless for their problems. A homeless presence does not mean danger.